Oder your next meal from Papparich! Papparich! 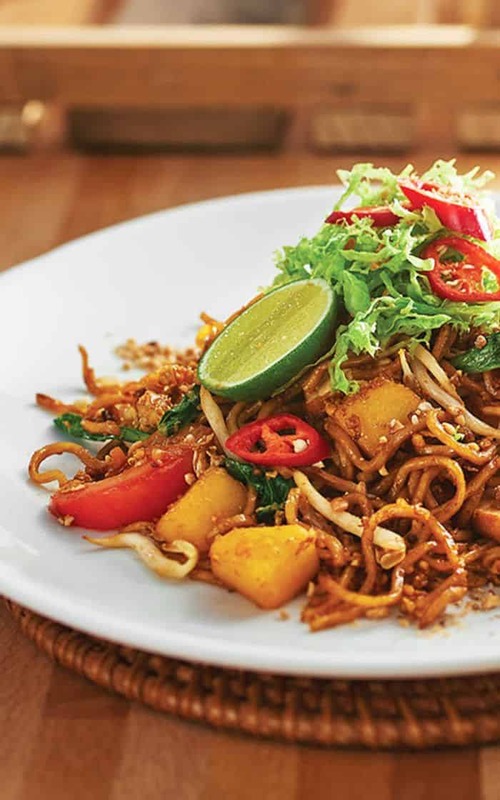 A home-grown Malaysian restaurant chain offering authentic Malaysian hawker fare is a favourite among Malaysians. Not only are they doing Malaysia proud with strong expansion into countries like Australia, New Zealand and even in the United States of America, but they are also offering Malaysians abroad the taste of authentic local cuisine away from home. Their menu offers an international selection, from Indian cuisine to Western Fusions. Let’s discover what mouthwatering creations they have waiting for us to be discovered. Ah, the most important meal of the day. A traditional Malaysian breakfast comprises of coffee/tea, a pair of half boiled eggs and a kaya toast. Thankfully for us, Papparich serves up delicious breakfast in their Thick Roti Stim with Butter and Kaya Bread, Toast with Butter and Kaya. For those who are more health conscious, they have wholemeal options available as well. For those who want something different, both the Naan with Curry Sauce or a Wholemeal Pizza Bread are also available as breakfast options. 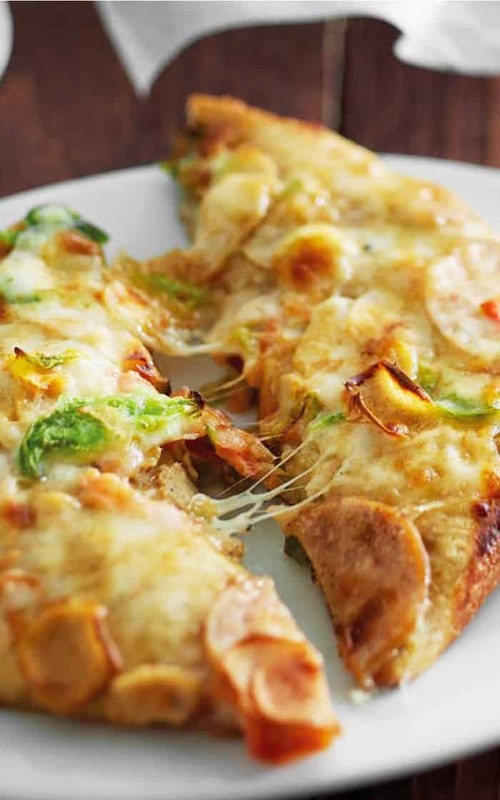 Fancy some tea time snacks that satisfy your cravings enough without being too full? 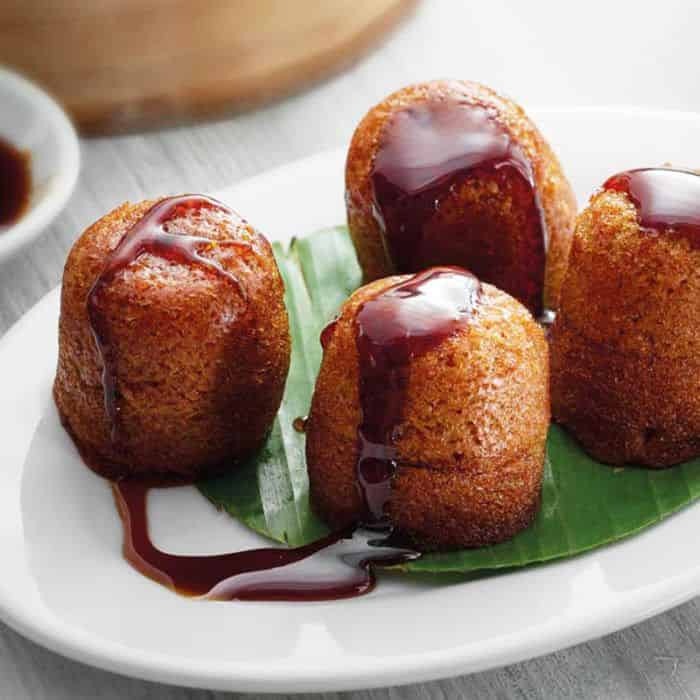 Look no further at Papparich Lite Bites selections. They offer traditional Chinese Dim Sum to get your Yum Cha cravings. They have Ipoh style Chicken Glutinous Rice, Black Pepper Chicken Siew Mai (3 pcs), Dumpling Soup (4 pcs) and Wholemeal Red Bean Pao (3 Pcs). There are also Western delights including French Fries and Fried Chicken Wings (4 Pieces). Fancy something closer to home? Papparich has you covered with Steamed Homemade Otak Otak, Roti Bakar with Steamed Homemade Otak Otak and Steamed Cake with Gula Melaka. Yummy! Whether you are looking for a small bite or finding sides for your mains, be sure to check them out for a wholesome meal. Rice is regarded as a staple food that is very common in Malaysian cuisine. It may be a simple ingredient, but PappaRich has successfully showcased the versatility of how it can complement with other ingredients. For starters, Papparich has both the Hainan Steamed Chicken Rice and Hainan Fried Chicken Rice. Hainan Chicken Rice is a Malaysian favourite that comes with steamed or fried chicken, fragrant jasmine rice, a bowl of freshly boiled chicken broth, bean sprouts and a dip combination of chilli and dark soya sauce. Next, another local classic of Nasi Lemak is not missed out as well. There are 3 different combinations available, the Nasi Lemak with Curry Chicken & Sweet and Spicy Sotong, Nasi Lemak with Fried Chicken and Nasi Lemak with Curry Chicken. 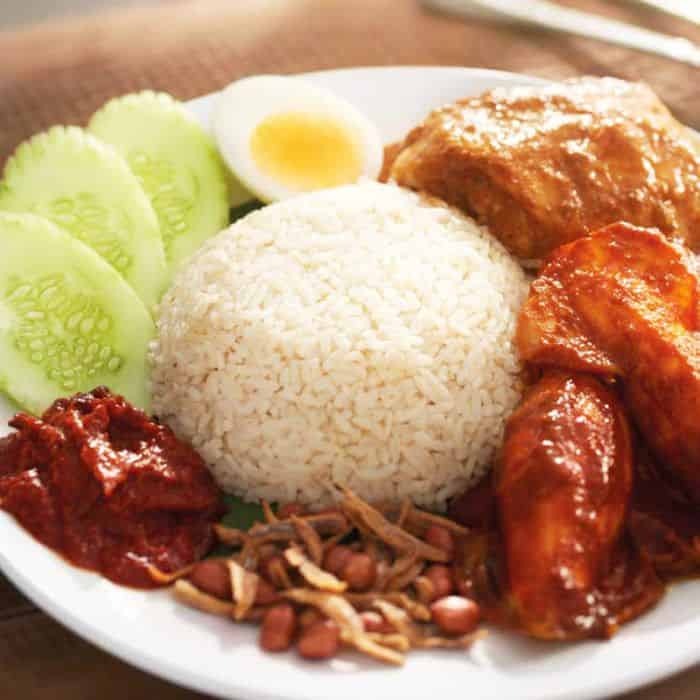 Nasi Lemak encompasses steamed coconut rice, served with various meats, fried anchovies and groundnut, hard boiled egg, cucumber slices and savoury and spicy sambal chilli. If you are feeling down under the weather, then the Claypot Chicken porridge selection would be there to lift your spirits. The Claypot Chicken Porridge with Egg and Steamed Chicken is savoury congee cooked in a claypot, which is then topped with a hard boiled egg, fresh ginger, spring onions and a side of tender steamed chicken. Next on the menu are noodles, the other type of staple food that we enjoy. Noodles are best enjoyed fried or with a delicious soup base. Papparich has a wide selection of noodle combinations. If you are looking for something without a soup base, the Dry Egg Noodles with Curry Chicken/Steamed Chicken might be a simple eat for you. If you are looking for something with more punch in taste, be sure to try the Wok Fried Kway Teow with Beef Slices (wok-fried rice noodles in high flame along with marinated beef slices, egg, onions, spring onions and bean sprouts), Char Kway Teow Special Noodles (wok fried flat rice noodles in high flame loaded with prawns, cockles, fish cakes, sotong, egg, chives and beansprouts) and Mee Goreng Mamak Noodles (wok-fried noodles in high flame loaded with tomatoes, potatoes, egg, fried beancurd, bean sprouts and sprinkles of crushed groundnuts. If you are looking for noodles with a soup base that has a more neutral note, the Ipoh Kway Teow Soup with Steamed Chicken Noodles would be the best recommendation for you. The flat rice noodles in chicken broth, topped with garnishes like chives, spring onions and bean sprouts along with a side of steamed chicken. Last but not least, the favourite Laksa segment is not forgotten too. There are mainly two types of broth: The all-time Curry Laksa has noodles in spicy coconut curry gravy with chicken, fish cakes, cockles, fried beancurd skin and beancurd puff. On the other hand, Asam Laksa has thick rice noodles served in aromatic fish based tamarind broth with shrimp paste, shredded pineapples, lettuce, red chilli, cucumber, onion and ginger. The Asam Laksa is regarded as a difficult dish to master as there is a lot of work required to have the right balance of sweet, sour, salty and spicy, but PappaRich has no doubt serve quality Asam Laksa that lets it become a crowd favourite over time. There are so many items on Papparich’s menu but yet, they still serve up quality food every day. Now, you don’t need to head overseas to enjoy the taste of home. With GrabFood’s Papparich food delivery service, you can enjoy comfort Malaysian food of your choice at the comfort of your home. All items mentioned above can be found on GrabFood application, so what are you waiting for? Open your Grabfood app and order your next meal from Papparich!